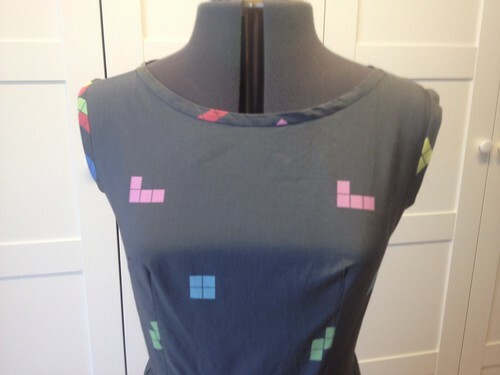 I would say that this is probably my last Tetris dress for a while, but who knows? 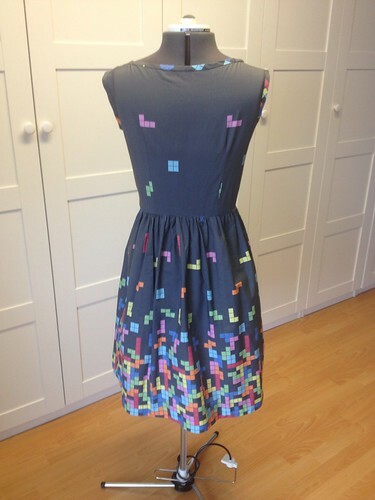 I should also mention here that I do not make these dresses commercially, but if you do a quick Etsy search you should find several people who WILL sell you a Tetris dress of your very own! 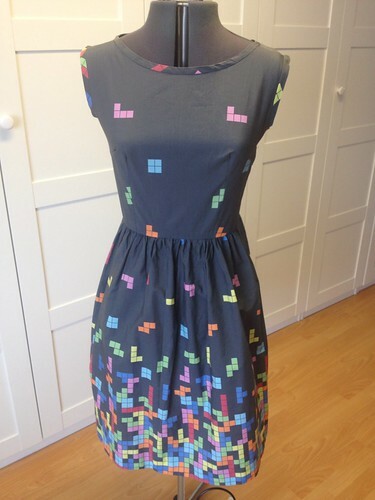 I simply love this dress – although being a Tetris queen myself I would love to see the fabric in white, it being the background colour of the mega high-scoring level of the game! Lovely work though I’m full of admiration for it. I love this dress! I do so wish this style would work for my “figure” sigh. I wanted to comment to say that I’ve been loving this hundred dresses series, its very impressive! I think I’ve secretly always wanted to see something like this series on your blog :). If ever there was, that is a thing worth doing! 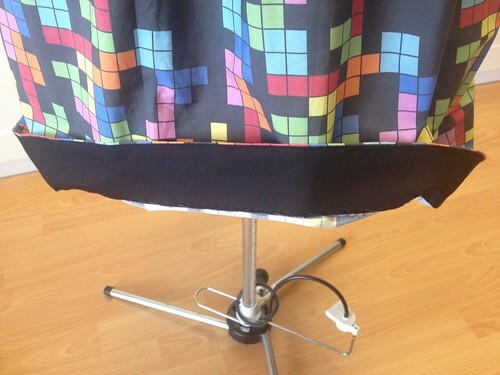 Oh, and you mention that the fabric is a little lightweight, so I’m wondering which base fabric you chose for this one? 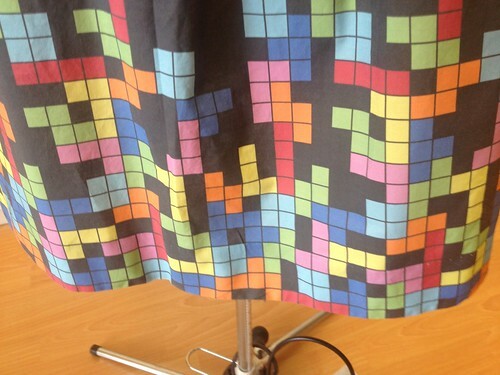 I chose the cotton poplin — it’s very nice! 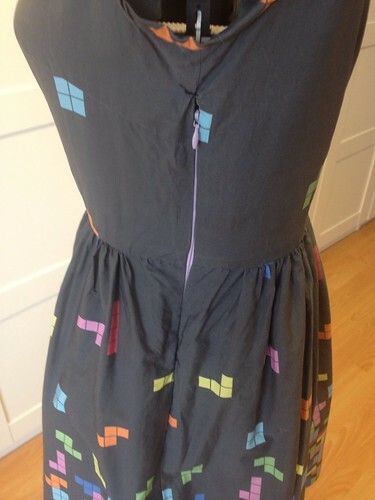 How much fabric did you use for it, or how much would you recommend purchasing?